In the statement that IMN made available to NAIJ.com, saying that it continued to strongly voice its opposition to the lame excuses forwarded by the government for his continued incarceration, especially the most irrational of all that of the so-called protective custody. The Islamic group said: The federal High Court in Abuja had declared as alien to all known laws of the land and indeed all laws known to man, the concept of protective custody. He pointed out that the terror group expanded exponentially due to a massive influx of personnel and arms from Libya after the French-led, U.S.-backed NATO regime change project. He was also quite vociferous against the injustices perpetrated by the United States against weaker nations, accusing Washington of spreading discord among Muslims. He remained the most consistent critic of the Israeli entity for its abysmal treatment of Palestinians. It seems fairly certain that both the U.S. and the Israeli entity approve of the indefinite detention of Sheikh Zakzaky. The group also noted that judge of the Abuja Federal High Court, Gabriel Kolawole said inter-alia in his considered judgement: the 1st and 3rd respondents have not been able to discharge the burden placed on them to prove either the legality of the Applicant’s detention in the 1st Respondent’s custody, or to prove that he consents to his being held in a “protective custody”. Justice Kolawole also said: "When I reflected on all the issues and questions which I had raised in the course of reviewing the processes filed and exchanged by both parties, not only was I unable to set my eyes on the provision of any law or the Constitution by which the Applicant’s detention, albeit in a protective custody can be justified. This in essence, is the basic concept of constitutionalism and rule of law in very democratic State such as ours. The group however claimed that government continues to hide under this façade to deceive the public on the actual reasons it continues to breech Sheikh Zakzaky's freedom. It said:That is the only explanation for the deafening silence of the western media in spite of flagrant abuse of rights of the Sheikh and his supporters on a scale never before experienced anywhere else. As the Sheikh clocks 600 days in illegal detention, we renew our unequivocal call for his immediate and unconditional release. 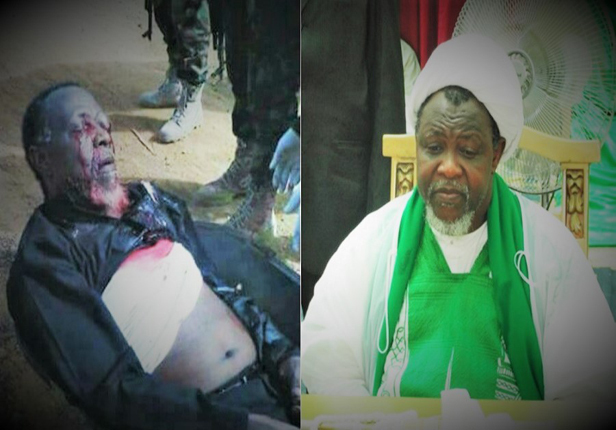 IMN also said the plot includes a simultaneous attack on its members in several cities of Northern Nigeria.